Deborah and I met when we were both doing the MSc in Nutritional Therapy at Westminster in London (which she completed and I left as I was too poorly at the time!). We clicked as kindred spirits and, ever since, I have referred mental health, especially pyroluria, patients to her as that's her specialist field. Deborah runs Thinking Nutrition and practices at various locations in London including the Brain Bio Centre, where I have often referred patients over the years. She regularly gives lectures on mental health and neurological disorders to psychiatrists, GPs, nurses and the general public. 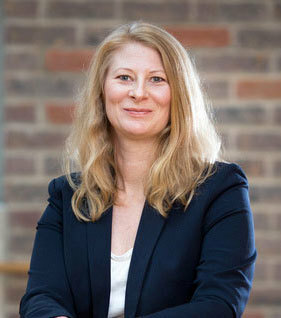 She is a visiting lecturer on mental health for the UK College for Nutrition and Health (BCNH) and the Northern College of Acupuncture’s MSc Nutritional Therapy programme. And she's written/co-authored a few books over time too, including Optimum Nutrition for Your Child and the Alzheimer’s Prevention Plan. What would I see Deborah for then? She is a trained functional medicine specialist and nutritional therapist so, like all of us, can help with most things including fatigue, gluten and dietary issues, weight etc. I tend to ask her to help people with anxiety and depression, especially caused by pyroluria (high kryptopyrroles), high and low histamine issues and neurotransmitter imbalances. She is also fab at brain problem prevention and treatment (eg. cognitive loss, dementia) and children's issues including autistic spectrum disorders, behavioural issues, enhanced learning etc. Deborah did her initial training at the Institute for Optimum Nutrition in London, and went on to complete an MSc Nutritional Therapy at the University of Westminster. Deborah is a Full Member of the British Association for Applied Nutrition and Nutritional Therapy (BANT) and registered with the Complementary and Natural Healthcare Council (CNHC). Initially, book in for a free 10-15 minute chat and she will take it from there. Note: this is not an opportunity for you to divulge your whole case history (! ), but it is simply so you can check you 'click', plus it's a chance for Deborah to get an idea of what your key issue is and assess whether she can help. If she can, she will ask you to book in for a full consultation. She charges £190 per hour. I hope it helps - it should; she's good!